I am addicted to watching the fun and interesting challenges. Seeing what supposedly "the top designers in the USA" are creating, can be somewhat of a let down at times though. That's what makes it fun. You sit and scratch your head and go "are you serious, I could do a better job than that". It makes me feel awesome for a minute, but then I am sooo glad that I am not competing in such a stressful competition, and I can sit and watch the chaos from the comfort of my couch. 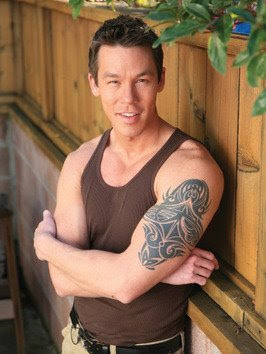 He was the season 2 winner of Design Star and is one of my favorite designers on HGTV. His show "Color Splash" has been a huge hit. 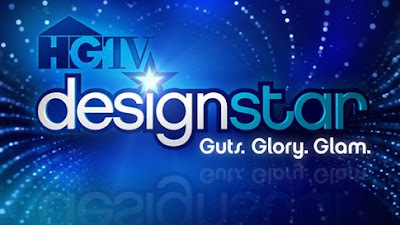 Tune in every Sunday with me & tell me what you think of the designs. I love this show! I watch it every Sunday. I watch that too. Sometimes you just have to wonder what some of those designers are thinking. Then again, it's pretty easy to say that from the safety of my couch. Yay!!! I knew there would be other fans out there. I know Alyson...crazy huh?